Bijan Chemirani is a unique musician with a very rich and varied background. 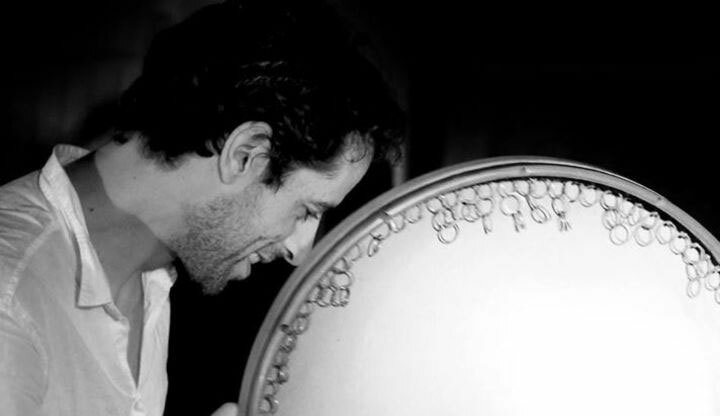 He is the youngest son of the renowned Iranian percussionist Djamchid Chemirani and therefore heir to a very rich legacy focusing on the traditional Iranian instrument of percussion, the Zarb or tombak. unisson(2 or 3 rhythmic lines). Improvisation and singing rhythmical patterns as a way to feel them before. Playing them on the drums!